In this year’s Google Summer of Code, there are 227 students from India participating in the program. In order to engage with this year’s Google Summer of Code students we are organizing a series of five meetups over the summer for the participants from India. 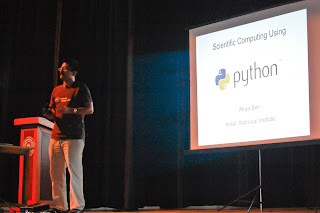 We held the first meetup on May 22nd at Jadavpur University Kolkata. 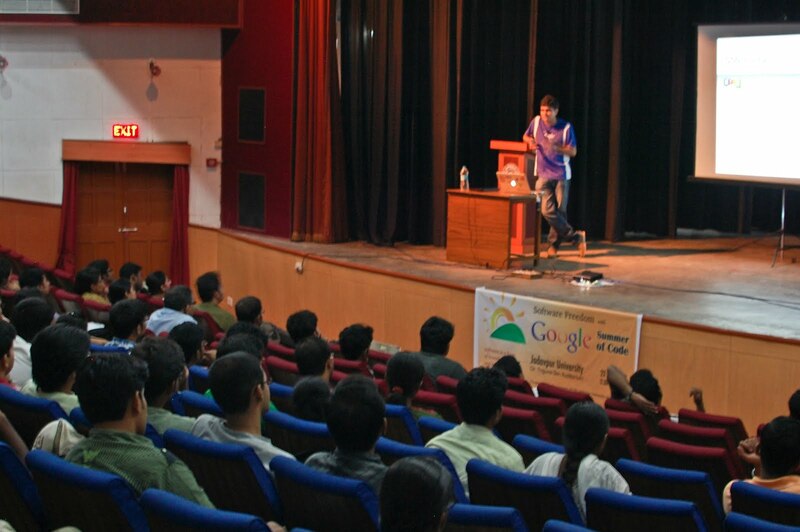 This was the first major Google Summer of Code event held in that part of the country even though Kolkata/Calcutta is one of the five largest cities in India. Approximately 150 students attended the four hour event with multiple sessions focusing on Free and Open Source Software and the Google Summer of Code program. I gave a 40 minute presentation covering the Google Summer of Code program and community related DevRel initiatives in India. I also introduced the developers.google.com site to the crowd. There was a panel discussion on Google Summer of Code with previous and current program participants with about 15 questions being answered during the session. There are four more meetups planned in the coming weeks in other parts of the country: Hyderabad, Bangalore, Mumbai and in the New Delhi region in Gurgaon. After the event I was contacted by a senior faculty member at Jadavpur University to do a similar session in other colleges in Q3/Q4 in anticipation for next year’s Google Summer of Code program should it be run again. We were very pleased with the turnout and the engagement of the students and hopefully we motivated even more students to participate in future editions of the Google Summer of Code.